Below is a listing of our most popular mortgage product inquiries made using our online mortgage application for clients in North Vancouver. 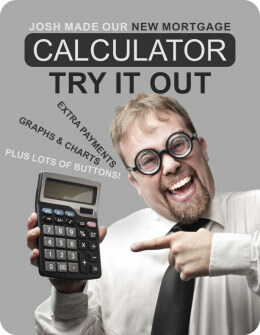 We pulled out all the stops and built the mortgage calculator you've all been dreaming of. Charts and graphs, side-by-side mortgage comparisons, lump sum payments, and more have all been added on top of a calculator that the Globe and Mail already considers the best on the internet. Try it now!